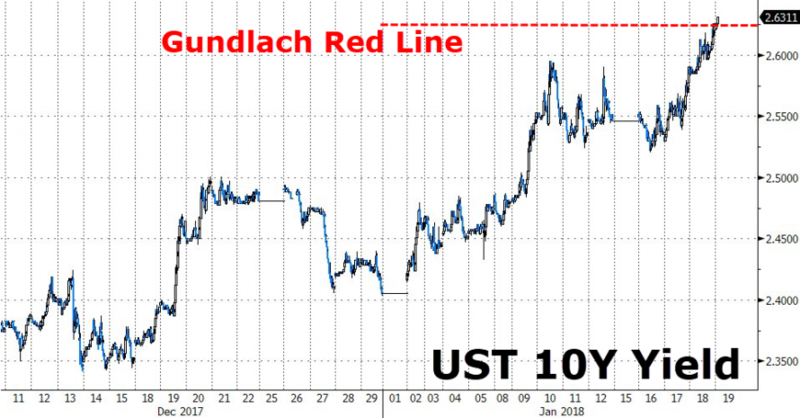 10Y Treasury Crosses Gundlach's "Red-Line": Will Stocks "Start To Suffer"? 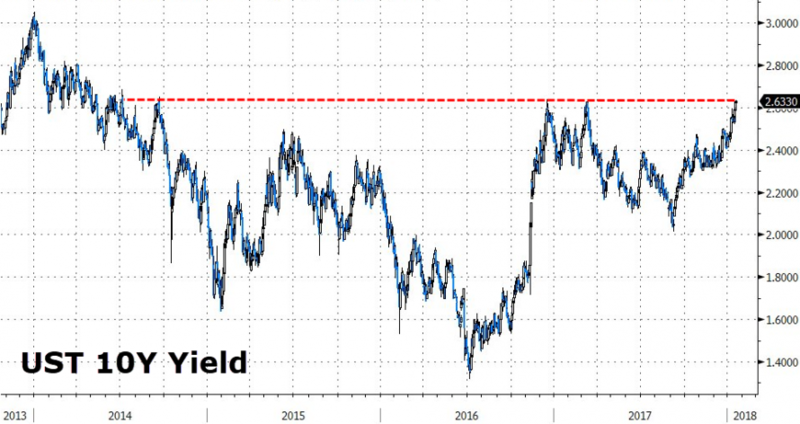 10Y US Treasury yields just jerked higher, breaking above the crucial 2.63% level - the highest yield since Dec 2016. As we detailed previously, during the Q&A segment of DoubleLine's Jeffrey Gundlach's most recent presentation, the bond guru was asked an interesting question, regarding what yield on the 10Y would be high enough to finally pressure stocks into selling off. For Gundlach the answer came with two significant digits of precision: "if the 10 Year goes to 2.63% stocks will be negative impacted." 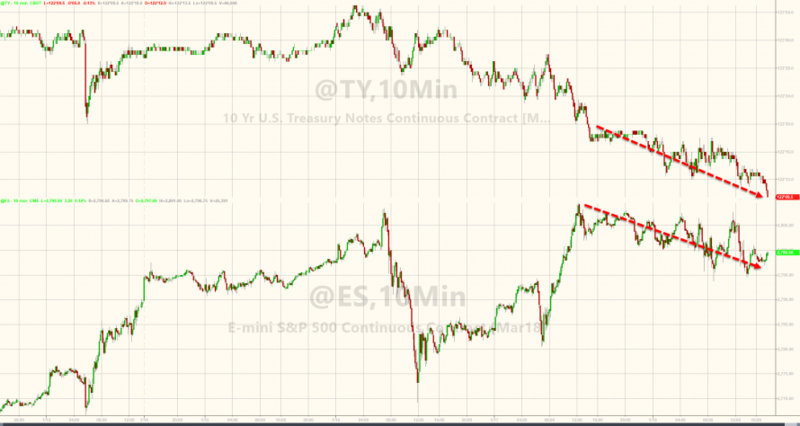 However, he also added that if the 10Y TSY passes 2.63%, it will head well higher, likely pushing toward 3%, and since he expects a 3.25% print on the 10Y in 2018, it is clear why Gundlach is not too keen on stocks.